Workaround (Women Design Action) was a multimedia exhibition with film, participatory workshops and activism activities held at the RMIT Design Hub. Broadcasting a live program of events, the exhibition ran from 25th of July 2018 to the 11th of August 2018. Each episode could be watched in real time on the set of the RMIT design hub or through a web link. 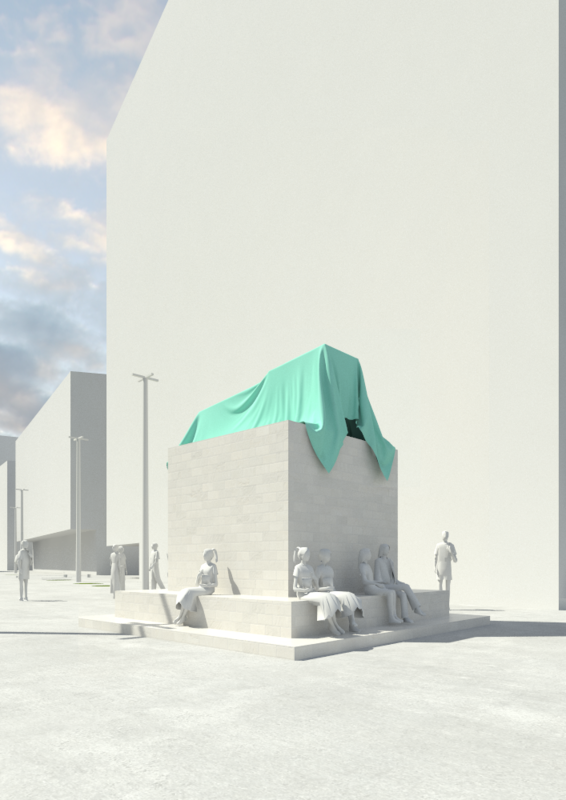 The XYX Lab were one of the Australian practitioners presenting during the program which allowed the public to drop in to reimagine how our city could look and feel if we redesigned it for women. Focusing on women, girls and LGBTIQ communities Monash University's XYX Lab work collaboratively with architects, urban designers, policy makers and the community to address the factors that make cities threatening according to gender. In this ongoing work a range of advertising and communications materials including short films, and play-based experiential workshops have been produced to market and amplify real experiences of women to make cities safer. These materials were created to be shared with the community and specifically with urban designers, users, stakeholders and policymakers to realise a new inclusive urban design approach and create innovative solutions to complex problems. The SHEcity ‘episode’ was shown on Thursday 2 August. In response to the SHEcity episode, two workshops were held. These were designed to bring together experts to reimagine and redesign how our city could be more inclusive for women and girls. Simona Castricum; Esther Charlesworth; Pippa Dickson; Pia Ednie-Brown; Harriet Edquist; Mary Featherston; Guest, Riggs (Kate Riggs + Stephanie Guest); Amy Learmonth; Helen Norrie; OoPLA (Tania Davidge + Christine Phillips); Parlour; Sam Spurr; SueAnne Ware and XYX Lab, Monash University (led by Director Associate Professor Nicole Kalms and the combined strengths of core members – Dr Gene Bawden, Dr Pamela Salen, Allison Edwards, Hannah Korsmeyer and Zoe Condliffe). Workaround (Women Design Action) was a multimedia exhibition with film, participatory workshops and activism activities held at the RMIT Design Hub. Broadcasting a live program of events, the exhibition ran from 25th of July 2018 to the 11th of August 2018. Each episode could be watched in real time on the set of the RMIT design hub or through a web link. 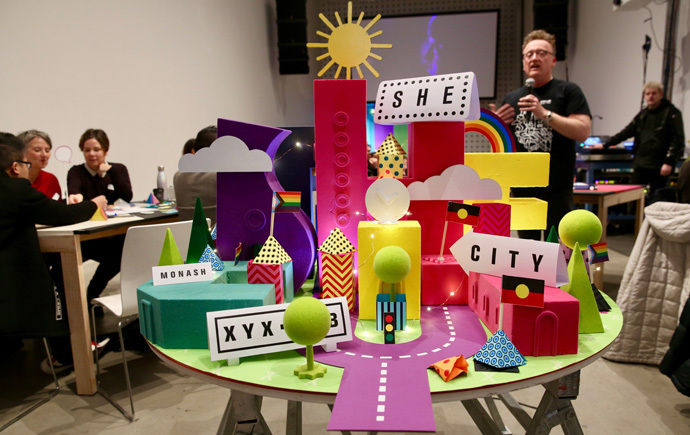 The XYX Lab were one of the Australian practitioners presenting during the program which allowed the public to drop in to reimagine how our city could look and feel if we redesigned it for women.